Should I Get Chiropractic Care or Laser Therapy? Sheppard Chiropractic is proud to offer laser therapy at both our Saint John and Rothesay locations. Do you know when to make an appointment for the laser and when you should have a chiropractic appointment? Don’t worry—we do! Before your first laser treatment, Dr. Sheppard will meet with you for a brief examination and to discuss your concerns. We will let you know if your concerns would be better treated by traditional chiropractic methods. Similarly, some of our chiropractic patients have their treatment enhanced by laser therapy on the same day. You don’t need to worry about “getting it wrong”—we are there to guide you! Who should ask about laser therapy? 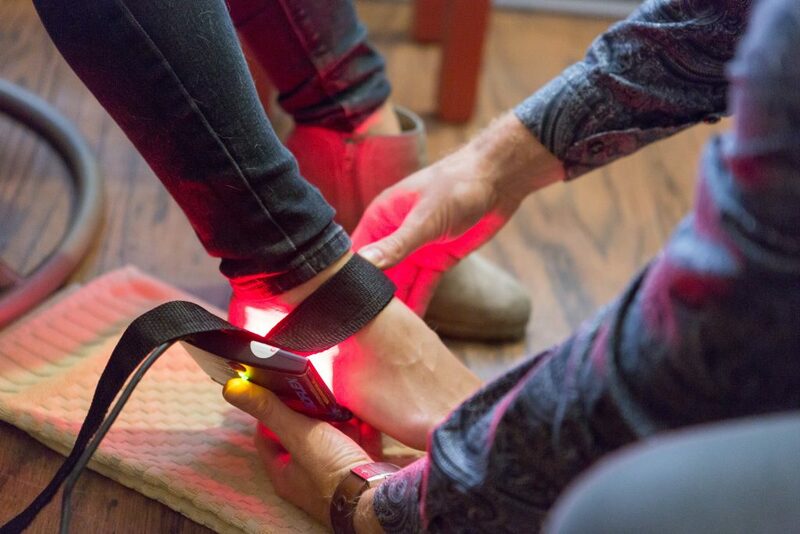 How does laser therapy work? A laser diode creates light that is placed in contact with the skin. Then, photon energy penetrates the tissue. This is where it stimulates the body’s natural healing processes. Also, laser therapy is done while you make yourself comfortable seated in a chair. In conclusion, there is no surgery involved. If you’re suffering from any of the above conditions, give us a call today and ask to make your first appointment for laser therapy. You can reach us at (506) 635-8182 or (506) 847-7172.